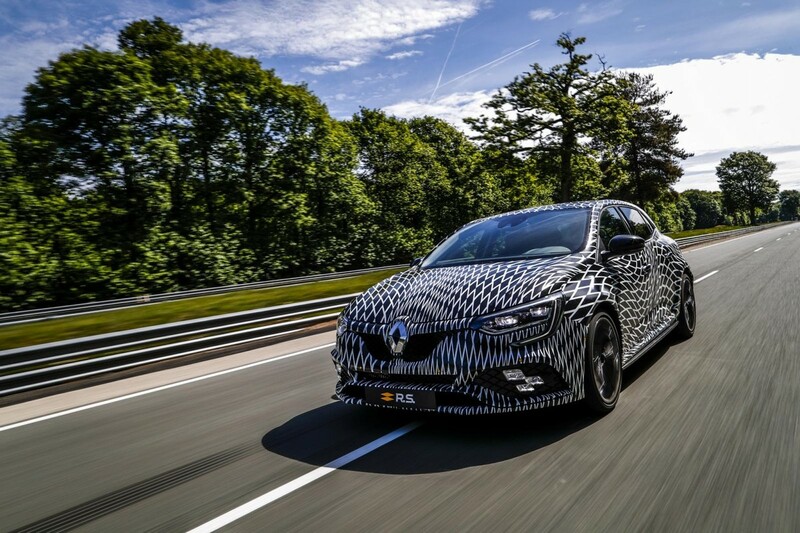 Renault used the 2017 Monaco Grand Prix weekend to show off its hot hatchback.... but, to the frustration of aficionados the world over, La Régie kept its newcomer in full camouflage. 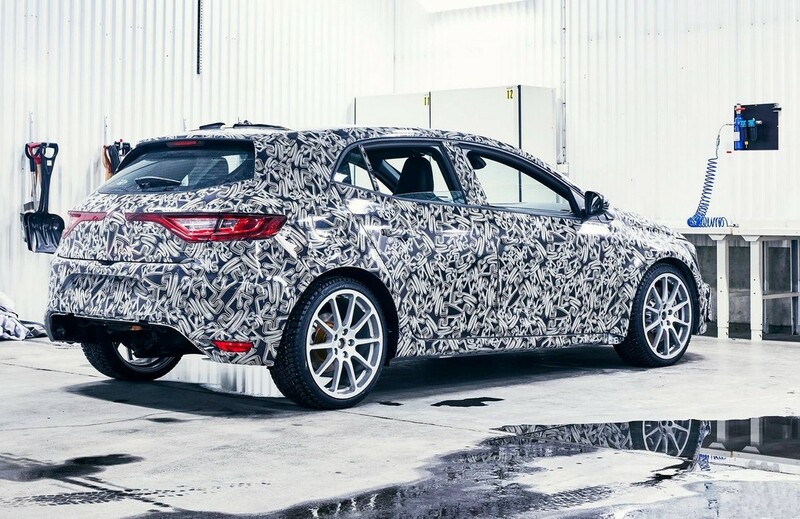 Now, further development photos have emerged. 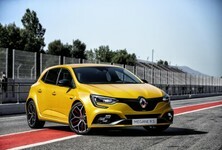 Update: Since the Monaco Grand Prix event, RenaultSport has been busy with development of the new Megane RS. 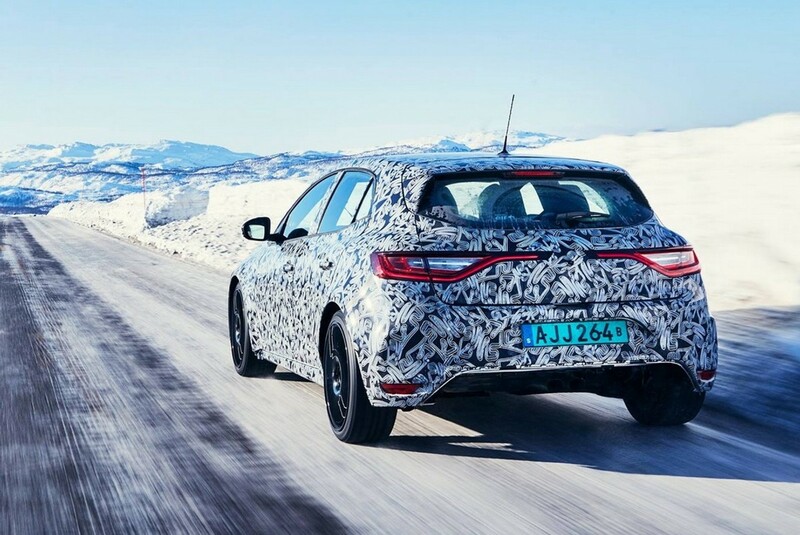 It was spotted undergoing testing in a cold-weather climate and we get a closer look at its shape and design details. 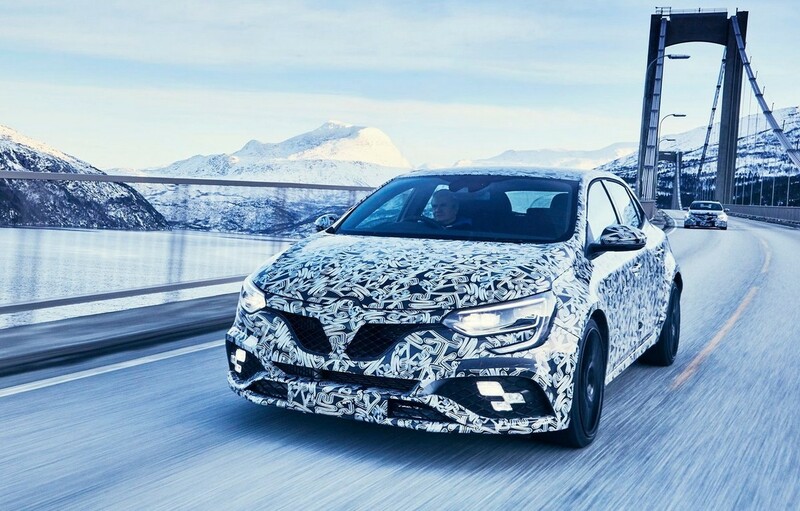 The major news from the first sighting of the new Megane RS is that it will come with the choice of a manual gearbox and an Electronic dual-clutch (EDC) transmission. 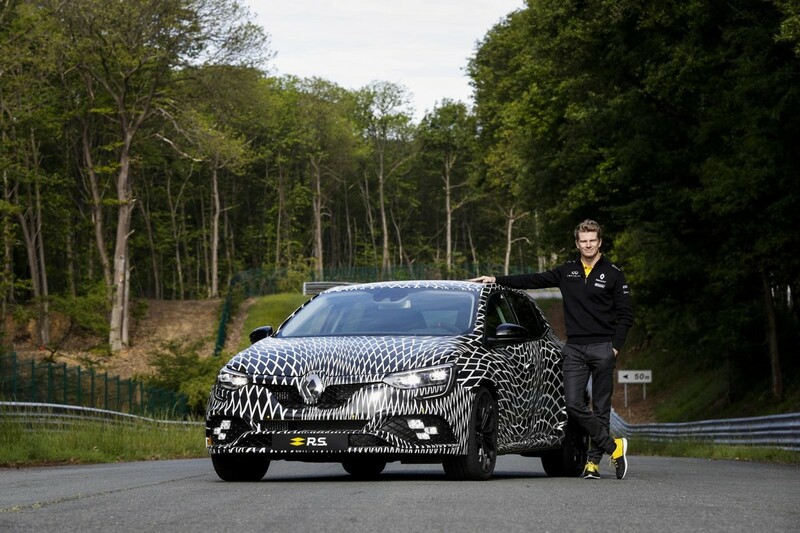 Renault, which was celebrating its 40th anniversary of its involvement in F1 at the Monaco event, tasked itsGrandd Prix racing driver Nico Hulkenberg to complete a few laps of the Monte Carlo circuit in a camo'ed pre-production RS. 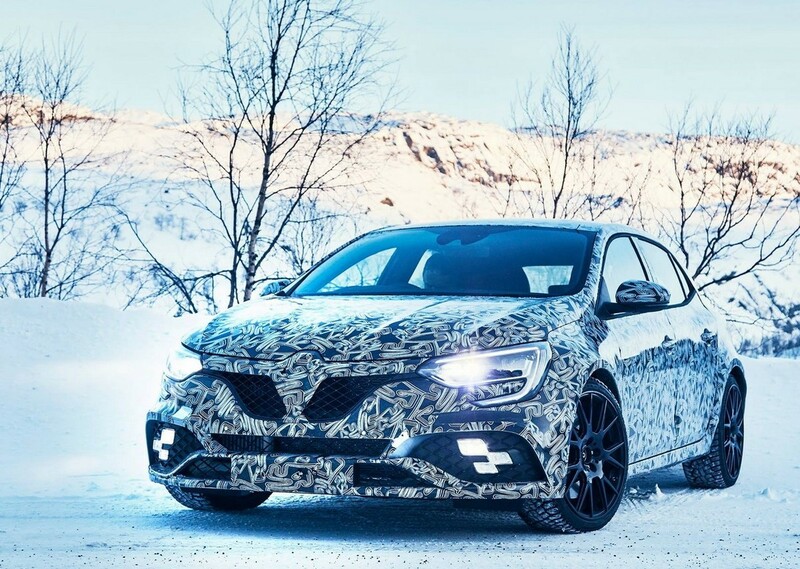 The German, who was also involved in the car's development, said: “I got an opportunity to test the all-new Megane RS during its development and I was hooked first time out by the excellence of its chassis. 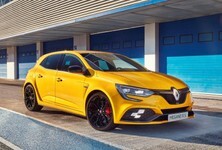 Renault Sport has done a tremendous job on its performance credentials. 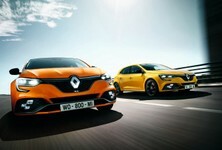 It was a huge pleasure to drive it around the legendary street track at Monaco”. 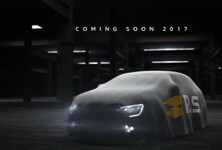 The finished product will be released at the Frankfurt motor show on September 2017, before going on sale around April 2018. 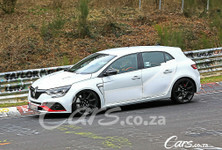 Interested in buying a Megane RS?